CoWatch, the Amazon Alexa boasting smartwatch, is available to buy after successfully completing its Indiegogo campaign earlier this year. You can now pick up the silver model for $279 with the black model priced in at $299. To put that in perspective, the Huawei Watch costs $349. 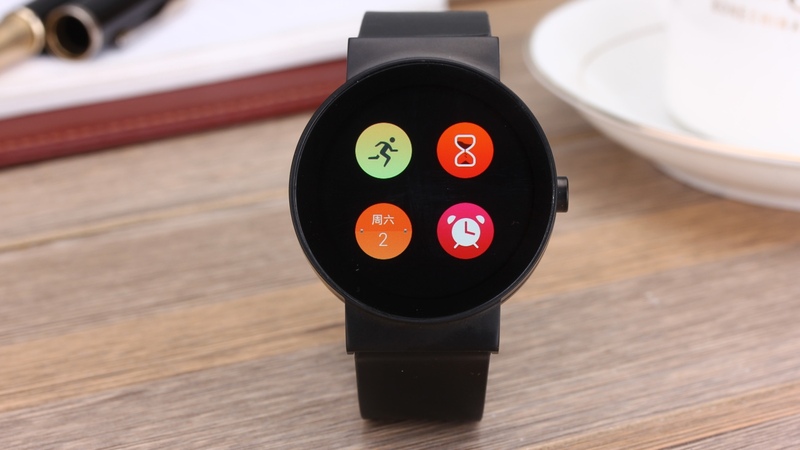 The CoWatch is built by IMCO and runs Cronologics OS, a fully fledged Android-based smartwatch operating system. Cronologics is a start-up featuring former Android and Android Wear developers, including Leor Stern, who spent 10 years at Google and more recently IFTTT. Down to brass tacks the CoWatch is a fully featured round-faced smartwatch, featuring an AMOLED 400 x 400 display with a pixel density of 286ppi. It's impressive stuff that matches most Android Wear watches pixel for pixel. The case itself is constructed from stainless steel and ceramic, which means there's no plastic on the watch body at all. Inside, there's a 1.2GHz Ingenic M200 processor, 1GB of RAM and 8GB of storage, double what's provided in most smartwatches. It's all highly impressive, but it's perhaps the presence of Amazon's Alexa virtual assistant that really impresses most. We were treated to a demonstration of Alexa in action prior to its crowdfunding campaign, which boasts Siri-like functionality from the wrist, including scheduling reminders, calling or messaging contacts, retrieving web queries and of course, adding stuff to your Amazon shopping list. The CoWatch isn't short of sensors either. All the usual accelerometer and gyroscopes are onboard, as well as a heart rate sensor for activity tracking. But there's no GPS for real sports – which kind of makes sense given the high-end design and the fact that the CoWatch comes with options for leather and Milanese bands. Hardly sporty. And the final boast concerns battery life. The company claims it works for 32 hours with an always-on display and three days in low power mode, where the screen turns off when not in use. CoWatch raised almost $300,000 back in June on Indiegogo offering early backers the offer to bag one for just $159. So it's a quick turnaround to give everyone the opportunity to buy one.